Today, accompanied by my Pretani Associates colleague Helen Brooker, and on the invitation of the Board of the Glasnevin Trust, I was present at the official opening of the newly reinstated staircase of the O’Connell Tower in Glasnevin, Dublin. This was performed by Paschal Donohue, TD, Minister for Finance &Public Expenditure and Reform. I was delighted to meet my old friends and colleagues Sir Jeffrey and Kingsley Donaldson, Bertie Ahern, John Green and George McCullough of the Glasnevin Trust and Eugene Keane of the Office of Public Works. The 55-metre round tower was built in the 1850s to commemorate the life of Daniel O’Connell and has reopened – 47 years after being damaged in a bomb blast by Loyalists in 1971, in retaliation for the 1966 IRA bombing of Nelson’s Column. 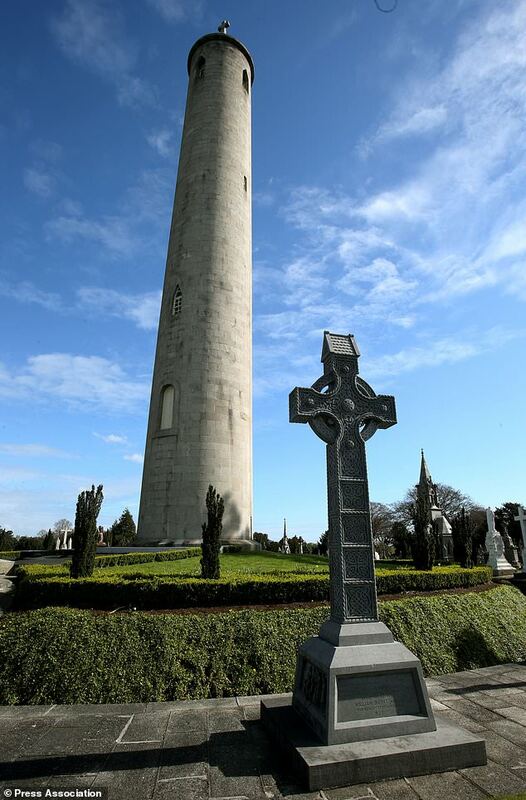 Known as the Liberator, O’Connell founded Glasnevin cemetery in 1832 and was laid to rest there after his death in 1847 as he travelled to Rome on a pilgrimage. 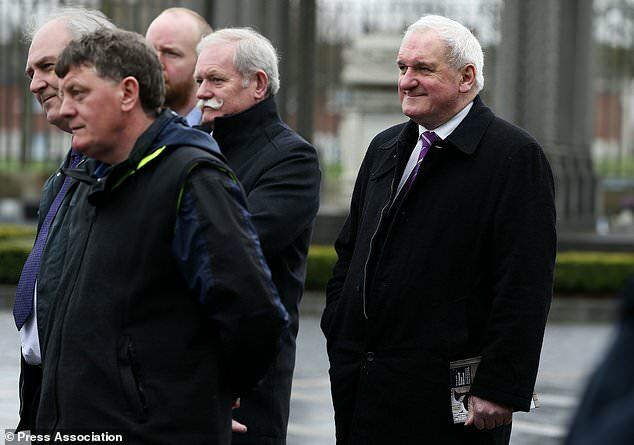 O’Connell’s remains were later exhumed and interred in a crypt at the base of the memorial tower built in his honour, which I first visited with my friends Dr Ian and Eileen Paisley on the invitation of Bertie Ahern. The granite tower was a popular visitor attraction for more than century but was forced to close when it was badly damaged by the gelignite bomb.The blast shot up through the tower, destroying its staircase and blowing out the windows. A large crack caused by the bombing is still visible on the structure. There was only one casualty, a pigeon who was nesting there. The crypt was refurbished a decade ago and in 2016 the Glasnevin Trust, in partnership with the Office of Public Works (OPW), began work to restore the tower and install a new 198-step staircase.Visitors can now climb to the top and access a 360-degree panorama affording views across Dublin, Meath, Wicklow and the Irish Sea. 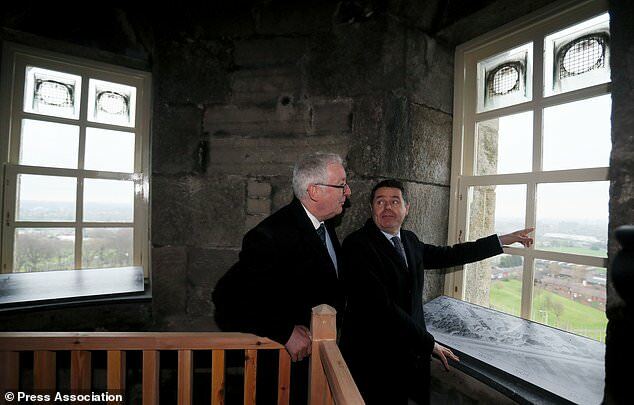 The reopening of the O’Connell Tower was marked by the laying of a time capsule at the base by students from the O’Connell School in Glasnevin.When the foundation stones of the tower were laid in 1854 a lead time capsule containing medals, documents and objects relating to O’Connell’s life was placed within it.